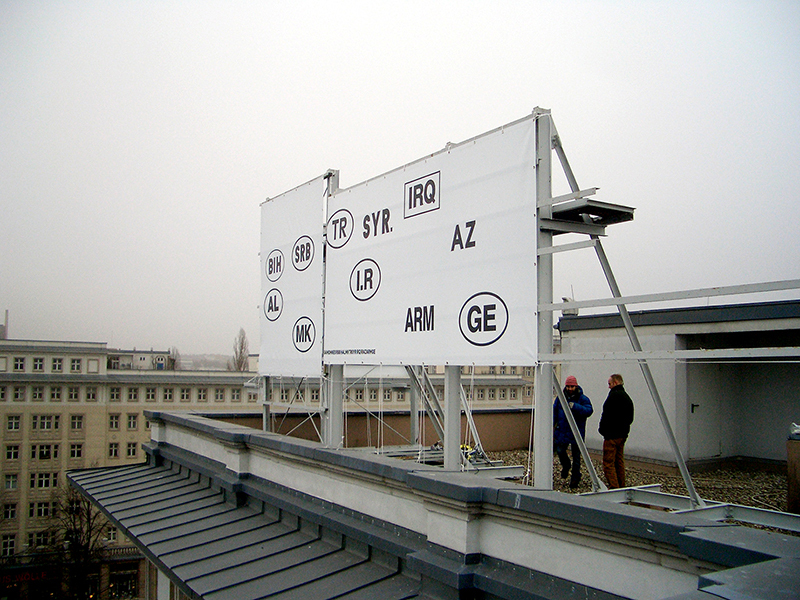 East Coast Europe, which took place during Spring 2008, was a project about the perceptions of contemporary European identity and its relation to spatial practices and international politics. The title “East Coast Europe” was a word play. “Europe” in the title was the central topic for investigation, its contemporary culture, expansion, and its status as a continuing social project. 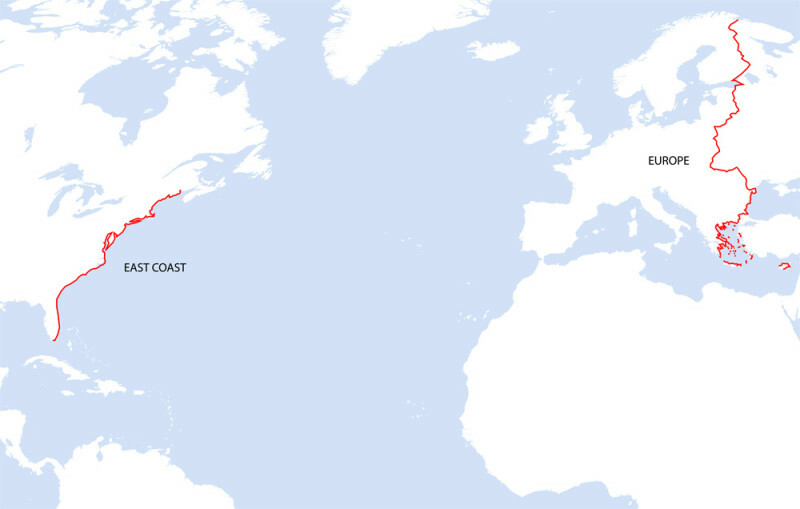 “East Coast” refered to two distinct edges of Europe, both real and imaginary—the geographical East Coast of the United States of America and the political “East Coast” of the European Union. The project invited leading figures in culture and politics from the two east coasts—of the United States of America, and of the countries in the European Union and its vicinity to comment on their perception of Europe today. East Coast Europe dove into the urgent details of a dense network of contemporary experience of the European Union’s extensive exchange of knowledge, people, and goods with the East Coast of the United States and also with its own eastern border. What are its challenges and possibilities for social, political and spatial practices? 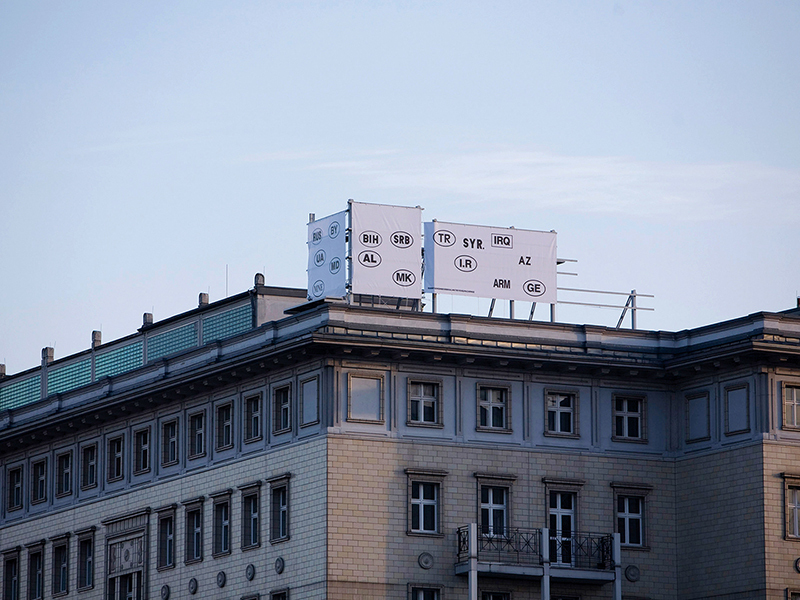 As a preface to the main project in New York (May 2008), a set of billboards facing Berlin’s Karl Marx Allee inscribed an imagined borderline of ‘East Coast Europe’. 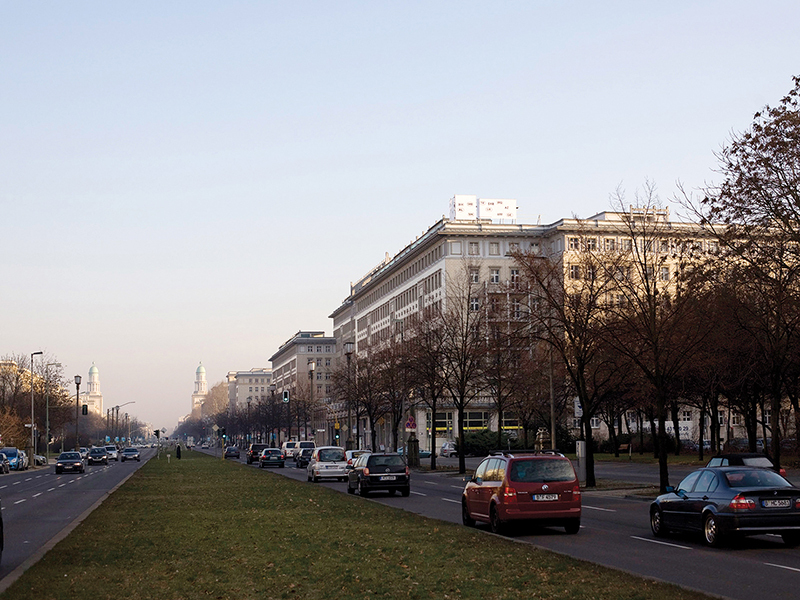 The first manifestation took place on December 21, 2007 in Berlin at KROME ART & ARCHITECTURE with a special installation by Markus Miessen and Zak Kyes, coinciding with their book launch of The Violence of Participation (Sternberg Press). East Coast Europe dealt with perceptions of contemporary European identity and its relation to spatial practices and international politics. 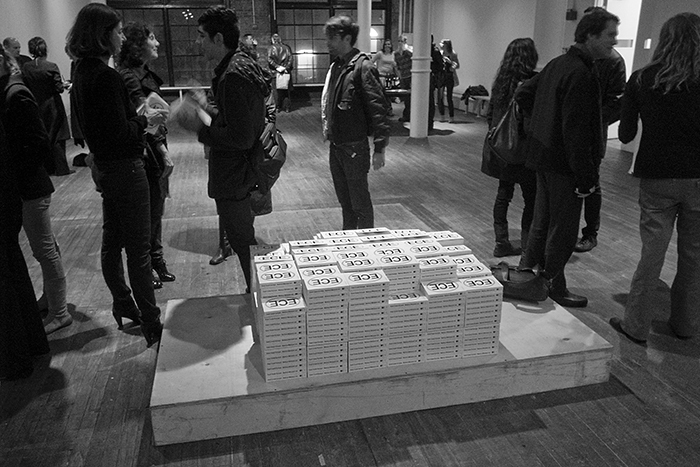 It was a program of public conversations, interviews, a design project, and a book. The project invited leading figures in culture and politics from the two east coasts – of the United States of America, and of countries in the vicinity of the present European Union such as Albania, Bosnia and Herzegovina, Croatia, Georgia, Lebanon, Macedonia, Montenegro, Russia, Serbia, Turkey, and Ukraine to comment on their perception of Europe today. ECE dove into the urgent details of a dense network of contemporary experience of the European Union’s extensive exchange of knowledge, people, and goods with the East Coast of the United States and also with its own eastern border. These two crisp north-south borderlines belie many geographic spatial complexities including the islands of Switzerland and the Western Balkans that now reside within the landmass of Europe but outside of the European Union. ECE investigated the cultural and political confluence between these two north-south borderlines, one geographic and one political. What is this new transverse region through multiple time zones? What are its challenges and possibilities for social, political and spatial practices? What is the future of international cultural practices in light of the expansion of the European Union? What are the changing prospects for intercultural collaboration between the players within the single entity of the European Union? What are the new emerging roles for cultural practices beyond European boundaries, like the East Coast of the United States and the “East Coast” of Europe towards Russia, the Middle East and Asia? What is the future of the cultural representation of European boundaries? What are cultural practices currently learning from this geopolitical expansion? A one evening public debate (April 15, 2008) about the perceptions of contemporary European identity and its relation to spatial practices and international politics.